The School District of Philadelphia is planning massive interventions in 16 of its schools next year. In addition to the 12 schools already organized in its “Turnaround Network,” the district has selected four more schools for intervention where drastic staffing changes could be on the horizon: Theodore Roosevelt Elementary, E.W. Rhodes Elementary, S. Weir Mitchell Elementary, and Luis Munoz-Marin Elementary. The district isn’t planning to formally announce the details of its plans until Thursday, but officials confirmed the names of the targeted schools — though they warned that plans could change in the next week. Spokesman Fernando Gallard said the turnaround attempts would come with additional financial investments, but would not provide specifics. The schools in the Turnaround Network are those that were tapped as “Promise Academies” under former superintendent Arlene Ackerman. In that intervention model, schools were initially given added resources, and staff received extra pay to work longer hours and some Saturdays. 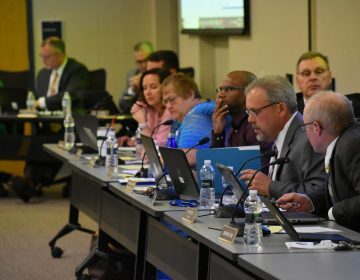 The district recognized that those turnaround attempts faltered after the first year as budget woes undermined the effort for a plethora of reasons. Gallard said history will not be repeated. In the Promise Academy model, principals and teachers had to reapply for their positions, and at least 50 percent of the staff was overturned. Gallard said principals and teachers would need to reapply for their jobs at the four recently selected schools — but not the others. 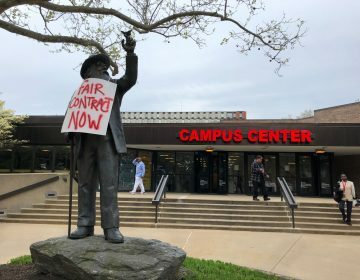 Philadelphia Federation of Teachers President Jerry Jordan blasted that plan as an unnecessary gambit that will do little to address the real needs of students who have lacked stable, equitable resources for years, while further demoralizing teachers who’ve already been spreading themselves thin. “When people are being asked to leave the school as if it’s their fault … what’s the message?” he said. Jordan said that the district is not planning to push for longer instructional time or Saturday hours, and that teachers will not be given added pay. The union president said attracting new teachers to the low-performing schools will be challenging because the state’s teacher evaluation system takes into account how students perform on standardized tests. “There is no incentive for a teacher to want to go to any of these schools,” he said. The district has struggled to fill a large number of vacancies at many of its schools this year — a problem compounded by the severe underperformance of the private firm it hired to oversee substitute teaching services. Vacancy fill-rates the four new schools selected for turnaround are particularly low. 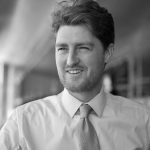 “Quite frankly, if you can’t fill the damn positions now — you haven’t been filling them all year — what makes them think that teachers are going to break down the doors to go to a lower performing school?” Jordan said. On the district’s school quality metric, each of the four newly selected schools has an “intervene” designation, which is based largely on very low performance on state standardized tests. The district had proposed converting Luis Munoz-Marin Elementary into a neighborhood-based charter school run by Aspira in 2014. 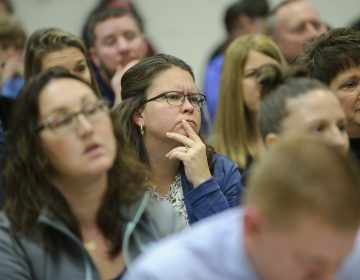 After a bitter debate, parents voted against that measure and opted to remain under district control. Before the vote, many teachers who were unsure of the school’s fate pursued options elsewhere — leaving the principal to begin the 2014-15 year with a host of new educators. In 2013, the district proposed closing Roosevelt Middle School. The School Reform Commission spared it, and the school more than doubled its enrollment as the district made it a hub for students displaced by other closing Germantown schools. E.W. Rhodes was also reconfigured in the wake of mass school closings. It transitioned from a middle school to an K-8 elementary as it absorbed children displaced by closures. 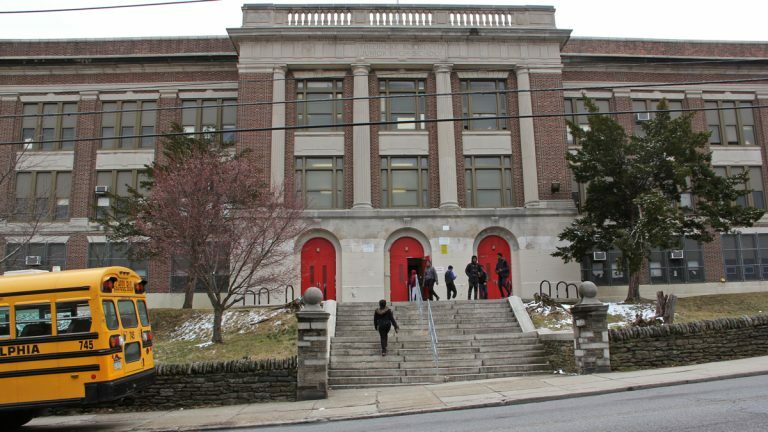 Mitchell Elementary, which also added grades recently, was profiled by the Philadelphia Inquirer recently for the resilience of its staff in the face of bare-bones resources. “I don’t understand why there’s a need to clear out these schools and start all over again,” said Jordan, who questioned the district’s ability to commit needed resources to the schools. The district is currently $550 million in debt based on short-term loans it borrowed to continue operating its schools through the historically long state budget impasse. District officials are unsure if they have the cash needed for schools to remain open through the rest of the year. Negotiations in Harrisburg have been unproductive since December. Mayor Jim Kenney did not propose additional operating revenue for district schools in his budget address this week. Here is the list of schools currently in the Turnaround Network, overseen by first-year assistant superintendent Eric Becoats. The district will hold meetings at each of the four new schools selected for turnaround.